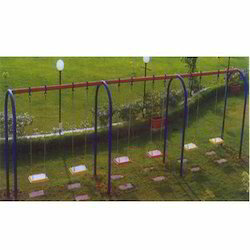 Providing you the best range of playing swing, four seater circular swing, duck swing, multy line swing, double swing and single swing with effective & timely delivery. 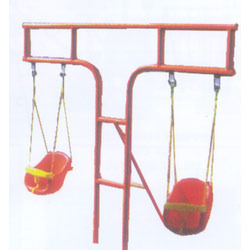 Excell Fibrotech is considered an eminent name in the industry that is engaged in offering Four Seater Circular Swing. Lightweight, easy to install, characterized by longer functional life and appealing colors these circular swings are highly sought after. The proposed selection is widely appreciated and accepted for its huge seating capacity, tough construction and minimal maintenance requirements. 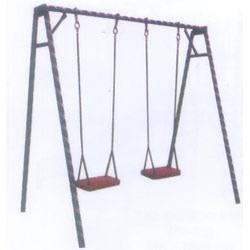 By utilizing immense experience of qualified professionals, we are presenting a comprehensive range of Double Swing. Our offered range is extensively used in various amusement parks and funfair. The offered range is manufactured by making use of high-grade material and advanced technology in adherence to set industrial standards. Moreover, our quality analysts perform a series of quality tests on the entire range in order deliver a defect-free range from our end. 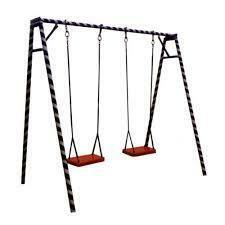 Backed by our creative and dexterous workforce, we are engaged in offering a distinct assortment of Single Swing. Besides being manufactured using fine quality material, the offered range is stringently tested by our quality analysts against various aspects of quality. Our offered range is widely demanded in the market for its durability, and premium quality. Clients can avail the offered range in various specifications at industry leading prices. 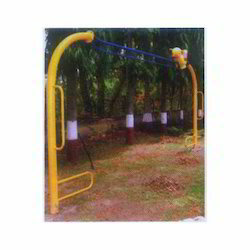 We are the leading manufacturer, wholesaler and supplier of T Shaped Swing. 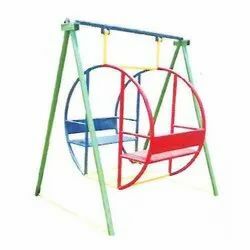 This swing is manufactured using fine quality material; the offered range is stringently tested by our quality analysts against various aspects of quality. 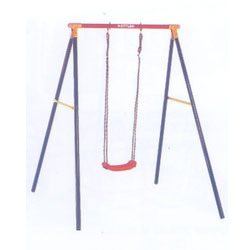 Our offered swing is widely demanded in the market for its durability, and premium quality. Clients can avail the offered range in various specifications at industry leading prices. Looking for Playing Swing ?